We are pleased to provide you with a listing of our business members. BLG is an integrated national firm that provides a broad range of legal solutions to our clients. UBS Wealth Management offers a comprehensive range of products and services individually tailored for wealthy clients worldwide. UBS is headquartered in Switzerland and has been present in Canada since 1951, with a platform that is unlike any other in Canada. Lindt & Sprüngli is recognized as a leader in the market for premium quality chocolate, offering a large selection of products in more than 100 countries around the world. Aspect provides state-of-the-art structural engineering service with the personalized attention that comes from being a small, young firm. Econ Group Construction and Development Ltd.
A Vancouver-based, medium sized design-build firm, positioned as the only explicitly modern residential contractor in the Greater Vancouver area. Proven record in completing complex, design intensive community and institutional projects, with a diverse portfolio of academic facilities; community and recreation centres; and public works infrastructure. PARC Retirement Living residences in the Greater Vancouver area are for those of you seeking much more than a place to live. Their retirement residences are premium communities in central locations. Specialized in lighted mirror bathroom cabinets with Swiss manufacturing, design and “Leidenschaft”. Storage solutions for your modern contemporary designs. a sales agency specialized in import of overseas high-end home accessories which they sell to independent retailers across Canada. At Chez Christophe we love fine chocolate and pastries and we don’t want to keep it for ourselves, we want to share our passion. Lindt & Sprüngli is recognized as a leader in the market for premium quality chocolate, offering a large selection of products in more than 120 countries around the world. Pasture to Plate is specialized in grass-fed and -finished beef, all certified organic and biodynamic. P2P has a farm in Redstone and a Butcher Shop and a Deli in Vancouver. A Swiss-Canadian startup specialized in communication for Blockchain companies. Our goal is simple: to be passionate and innovate when it comes to our work. Banking, wealth management, insurance, investment banking and transaction processing services. Workplace Pension Solutions Workplace Pension Solutions (Canada) Inc.
is specialize in new group retirement plan business development and effective retirement plan maintenance. Clear Focus Financial provides world-class, one-on-one financial services. Diction is a leading Swiss language services provider, offering translation, editing, proofreading and copywriting services – in various specialist areas and in over 30 languages. Conexkt is a project development agency. It focuses on turning ideas into products and services. Conexkt offers consulting, communication, and coaching services. Swiss Pro Marketing is a full service advertising specialties company offering a wide range of promotional items to promote your company. Over 15 years of business experience and an expert for coffee and juice solutions in Western Canada. Core products include super automatic espresso machines, traditional espresso machines, self-service units, household machines, as well as fruit juicers. Vifor Pharma Group, formerly Galencia Group, is a global pharmaceutical company that researches, develops, produces and markets its own pharmaceutical products and is the partner of choice for innovative, patient-focused solutions. The operational headquarters are in Zurich, Switzerland. Greenfield Fertilizer is your first source of innovative CO2 fertilizer in Canada. Optimize your growing potential by using this cutting edge fertilization technology. Developed in and for Canadian growers. The head office is based in Edmonton, Alberta. With a worldwide presence, KPMG continues to build on their member firms’ successes thanks to their clear vision, maintained values, and people. 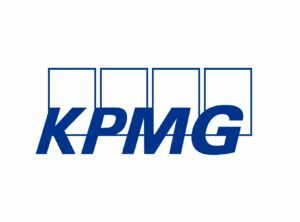 KPMG is a Canadian leader in audit, tax and advisory services. Strategic Wealth Preservation – We are a globally orientated research and consulting company focused on strategic wealth preservation for high net worth individuals and families. Burckhardt Compression is one of the world’s leading manufacturers and service providers of reciprocating compressor systems that covers a complete range of reciprocating compressor technologies and services. One of the world’s leading logistics companies. Its strong market position lies in the sea freight, airfreight, Overland, Contract Logistics, and Integrated logistics. The name Wyssen stands for Swiss Quality in terms of service, consulting and reliable avalanche release systems with unmatched effectiveness in avalanche control and avalanche detection. Their goal is to make the shooting sports fun and accessible. Calgary Shooting Centre can provide training and team building opportunities for groups or individuals. Vancouver Whitecaps FC is a Canadian professional soccer team based in Vancouver, British Columbia that competes in the Western Conference of Major League Soccer. Atlin Mountain Inn Hotel in Atlin, B.C. It is often referred to as “Little Switzerland”. Specialists in travel between Canada and Switzerland including non-stop flights! Matterhorn Music does everything from setting up to complete overhauls and customizing an instrument. Specialties are in repairing, selling and renting Brass and Woodwind instruments. We create the next generation of shared mobility around the world. And change the way we move around. offers mobile car detailing in Vancouver & the Lower Mainland with Switzerland’s world renowned reputation for quality and precision. Dynamic mid-sized law firm with our headquarters in Calgary’s south and a downtown branch office in Gulf Canada Square.